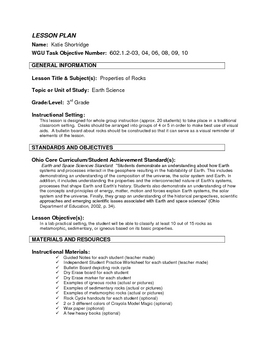 This interactive lesson plan provides a full instructional and assessment plan for teaching 3rd grade students about classifying rocks. 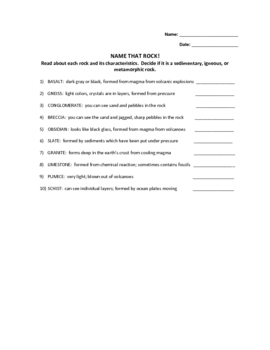 A "Name That Rock!" 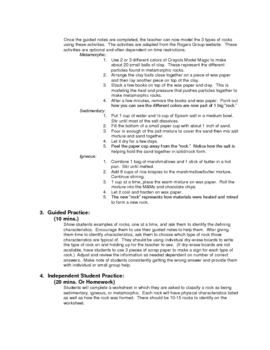 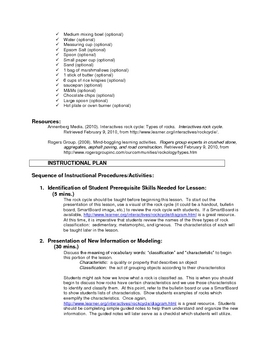 worksheet is included in the PDF file.